A powerful as well as romantic acrobatic performance with floating movements - harmony in combination with aesthetics and power in astonishing airiness. "Power of spring" yields the best effect on a stage. Duration 5 minutes, music on compact-disc, required area: 3 x 4 meters, minimal height: 4, 50 meters, light: red/orange basic light and white spot. On a level surface the show can be performed outside, too. 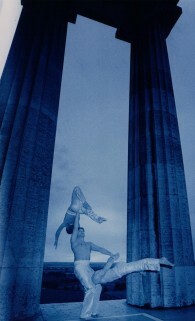 Slow-motion acrobatics in perfection - pictures add up together, cantilevered figures of balance are created, as if gravity would not be valid - vigerous, aesthetical, accoplished. "Trio Forte" is a 5- minute lasting stage performance, music on compact-disc, required area: 3 x 2 meters, minimal height: 4 meters, light: blue basic light, stage fog. On a level surface the show can be performed outside, too. Tango Forte is a high-level stage performance accompanied by Piazolla's tango music und a completely new and exciting combination, that emerged from the cooperation with the professional tango-duo "Tango im Fluss...". Argentinian Tango and acrobatics supplement each other, but the couples never leave their profession. The seemingly contrariness is metamorphosed into a harmonic alliance of elegance, eroticism and poetry. "TangoForte" lasts 10 minutes, music from Piazolla on compact-disc, required requisites: 2 chairs, required area: 4 x 6 meters, minimal height: 3, 20 meters, light: red basic light, white spot. An acrobatic realisation of an exciting encounter. A missionary man is torn out of his meditative world und confronted with the outside world in form of a charming woman. Can he resist the temptation? By a dynamic choreography and a combination of spectacular acrobatics, eroticism and dance a tingly interplay of request and reluctance is created.  "Missionary Man"- a six-minute long spectacle, music on compact-disc, required area 3 x 5 meters, minimal height 4,50 meters, light: red basic light, white spot. "The Mediaeval Acrobats" are coming! With there mediaeval music and fancy-dress costumes they bring fun to town - their artistic tricks will amaze the spectators. By request animation and acrobatics to join in are possible addition. 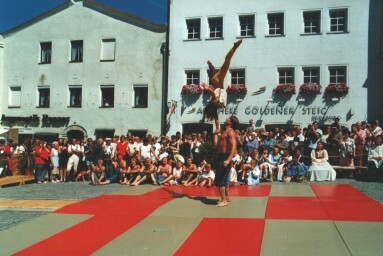 The "Mediaeval Acrobats": fit perfect to any street party or village fair, duration 5-minutes, music on compact-disc, required area: 3 x 4 meters, minimal height: 4, 50 meters, daylight. On request we create a custom-made show conception with fitting fancy dresses and more artists if necessary. Forma fortis is also an attraction for village fairs or street parties - it will have an astonishing effect.